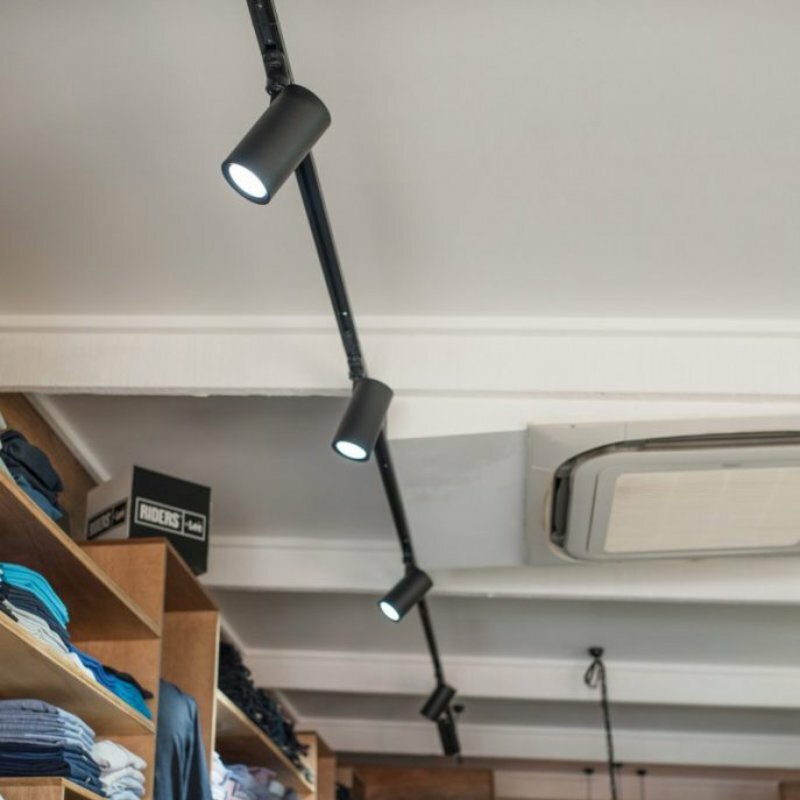 Retail lighting is most effective when it presents products in an appealing manner, provides adequate lighting for signage, and creates an inviting environment for the customer. The space should be illuminated enough for the customer to be able to evaluate the quality, colour, and utility of products. In general, the showroom area will benefit from a mix of lighting sources that highlight various standout products or best-sellers. In this way, feature lighting can act as a guide for the consumer to popular items they might like. From the time a customer notices a front window display enticing them to enter the store, to the eventual purchase at the register, a well-designed lighting plan can influence customer behaviour and perceptions that lead to a sale. Light boxes are structures that are lit from within to backlight an image or sign in an attention-grabbing manner. They can be very useful for creating a space that has visual interest. The light boxes can display either signage or evocative images associated with the store concept. The location of the light box within the store will determine how it is mounted. It is important that a light box used has uniform illumination so the image is projected evenly. Also, energy-efficiency and low heat emissions will be important for these structures as they can sometimes be quite large. The registers and point of sale areas should have proper task lighting to allow employees to carry out transactions in an efficient manner. New point of sale stations often have computers and monitors so fixtures should be chosen that avoid unwanted glare off of screens. Staff will be interacting with customers in these areas so it should feel comfortable. 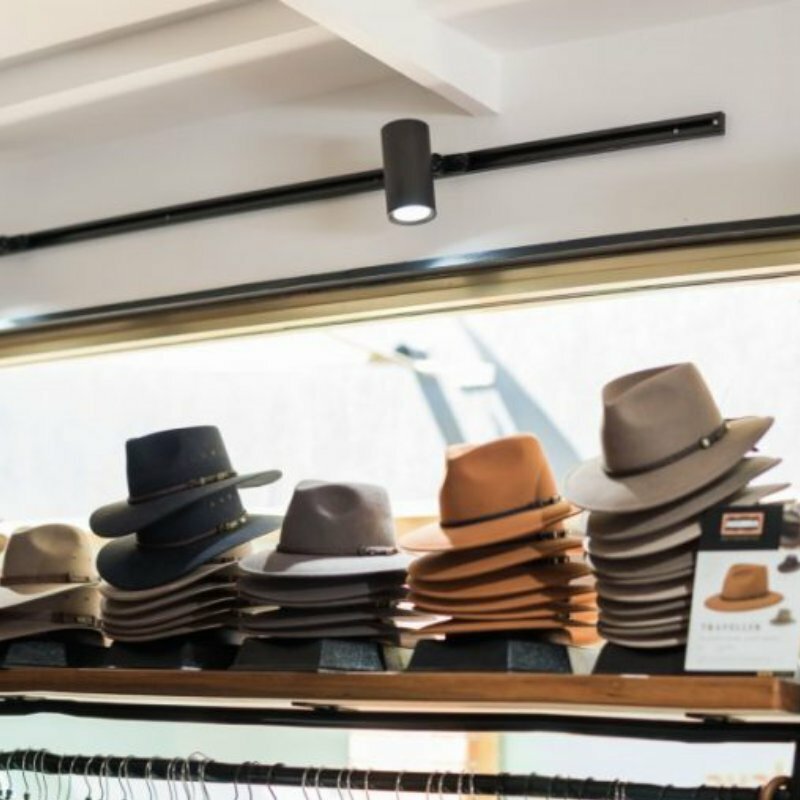 It is important to ensure that the lighting is consistent in rendering colour as in other areas of the store so that the customer does not change their mind at the last-minute due to the product suddenly looking different at the register. Fitting rooms are places where a customer will evaluate whether an item of clothing suits them so lighting that promotes a flattering image will create a more positive experience. Lower glare fixtures are best used in these small spaces since there are usually a variety of mirrors that already reflect a lot of light. Frontal lighting is most flattering because it avoids unsightly shadows but overhead lighting can also be used effectively. The lights should accurately depict the colour of the items. 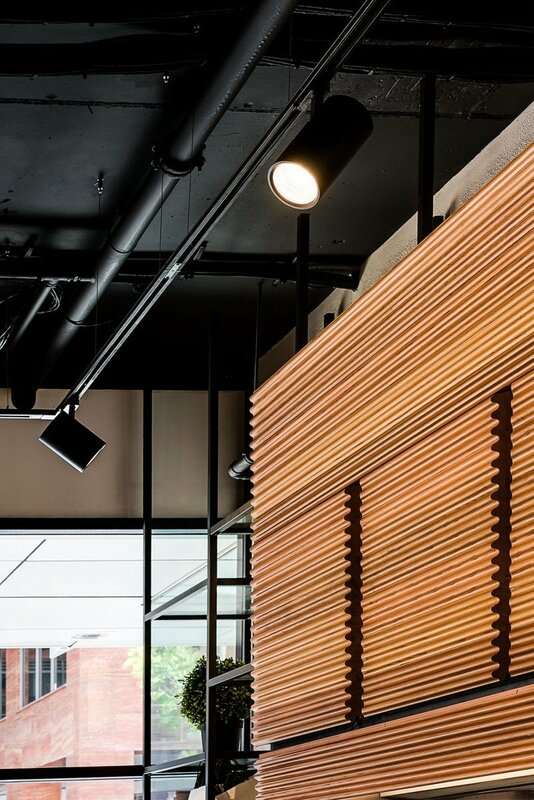 Product display lighting can greatly influence the appeal of products in-store. 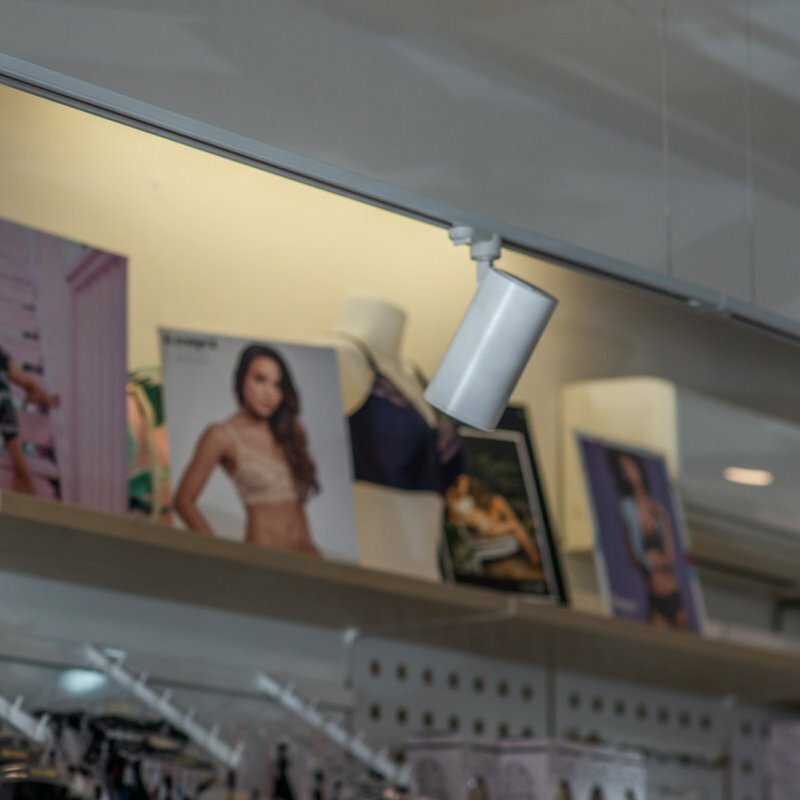 For example, when you immediately enter a store you will notice that certain items are usually featured and they may have their own spotlight lighting to draw your attention to these items. In terms of general product displays, these will vary from store to store and may include clothing racks, free-standing displays, shelving, and countertop displays. For larger displays such as shelving it is light will be required to illuminate the entire fixture from top to bottom. For the consumer, it is especially important that the lighting has excellent colour rendition so an item, like clothing or home goods, can be seen accurately. 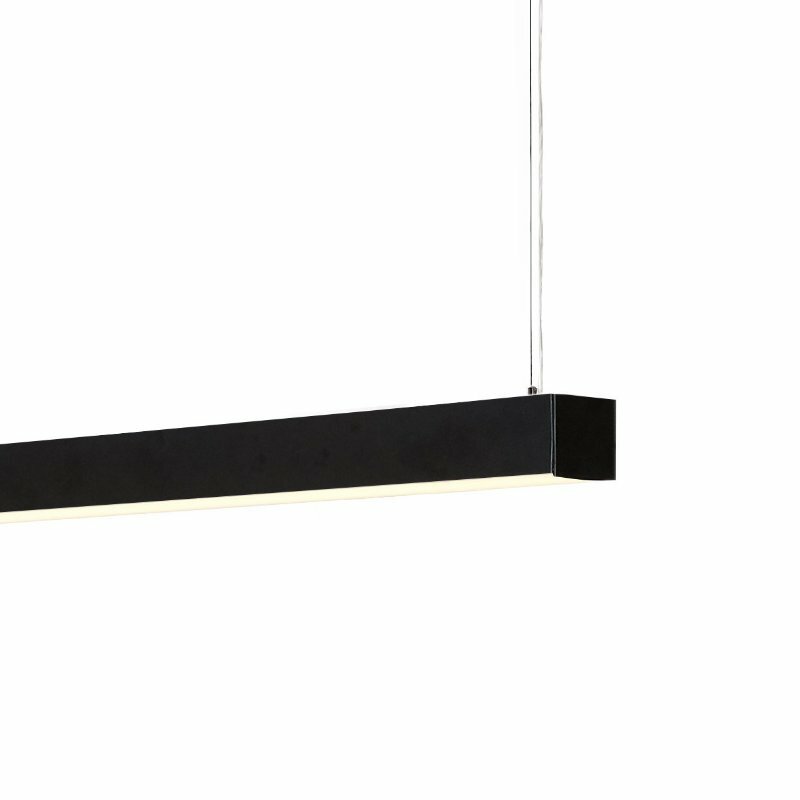 LED linear profile pendants are a great choice for additional lighting for shop and retail lighting fittings. 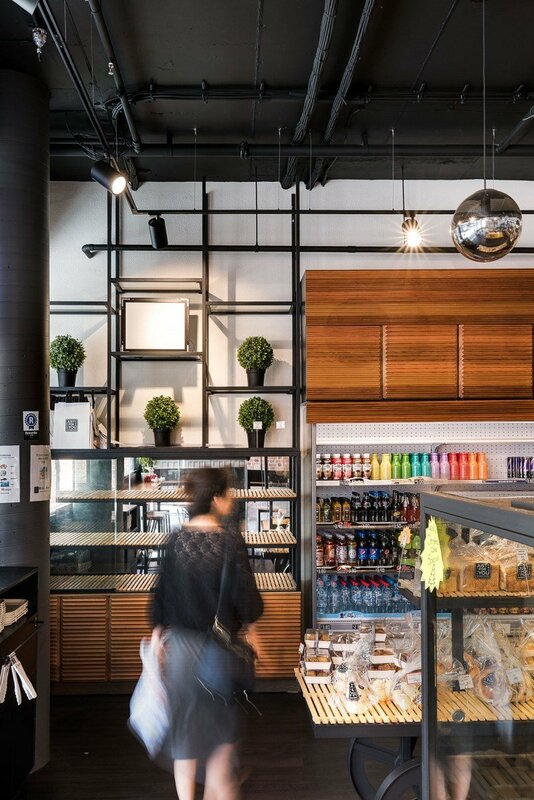 These can be used above areas like cash registers or self-service desks to distinguish these areas from the rest of the store, while giving a nice architectural touch to the design. You can also surface mount or recess these light fittings for a more subtle look. 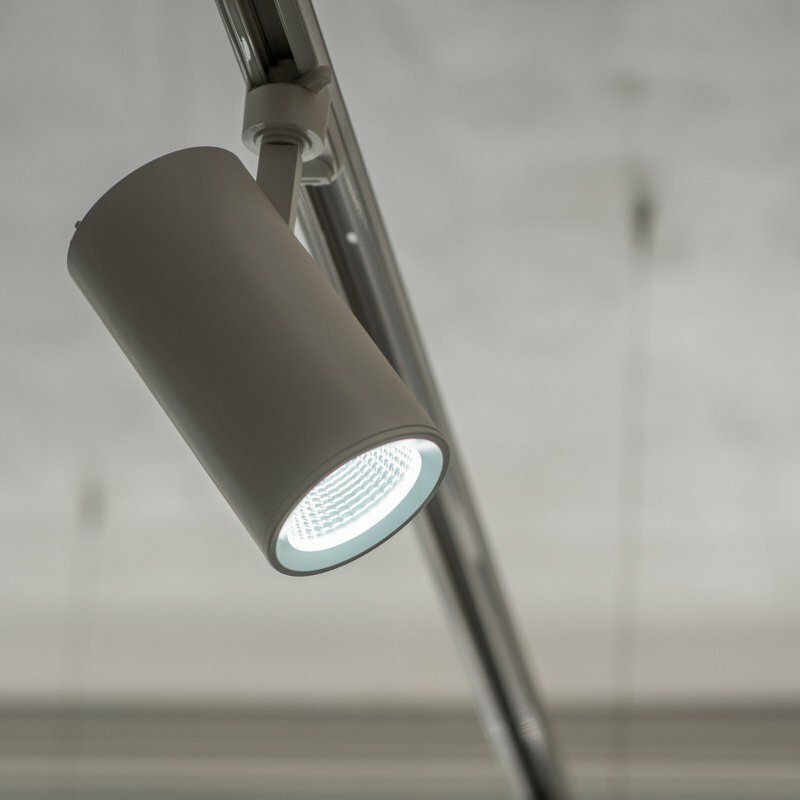 Surface mounting means the light fitting is installed straight onto the ceiling surface; this is the quickest and cheapest method. 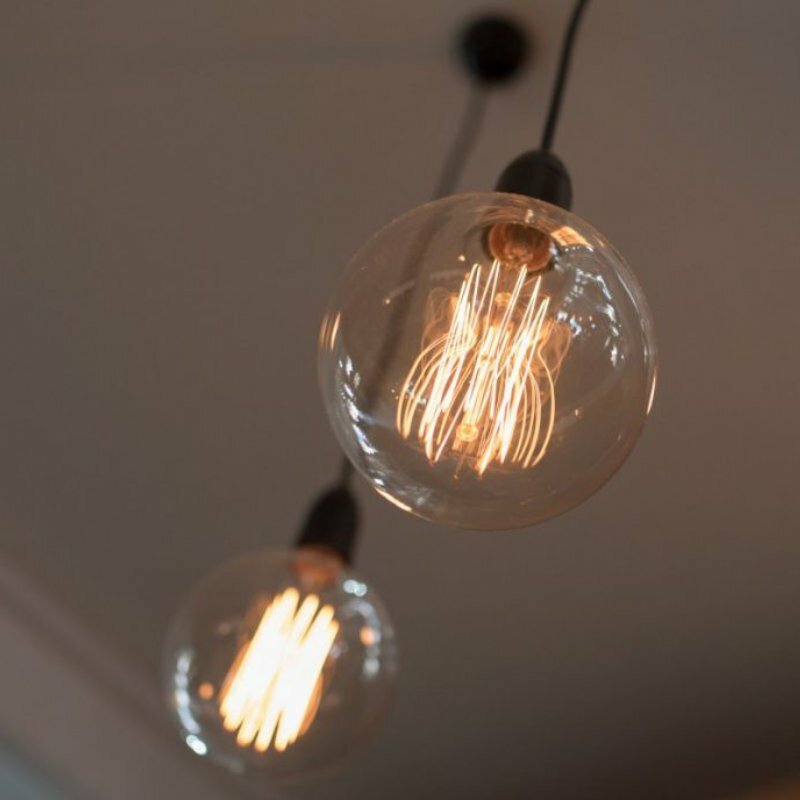 If you want to achieve a very discreet look, you can recess the lights, which means cutting holes in the ceiling and placing the fittings so that they sit flush with the ceiling surface. 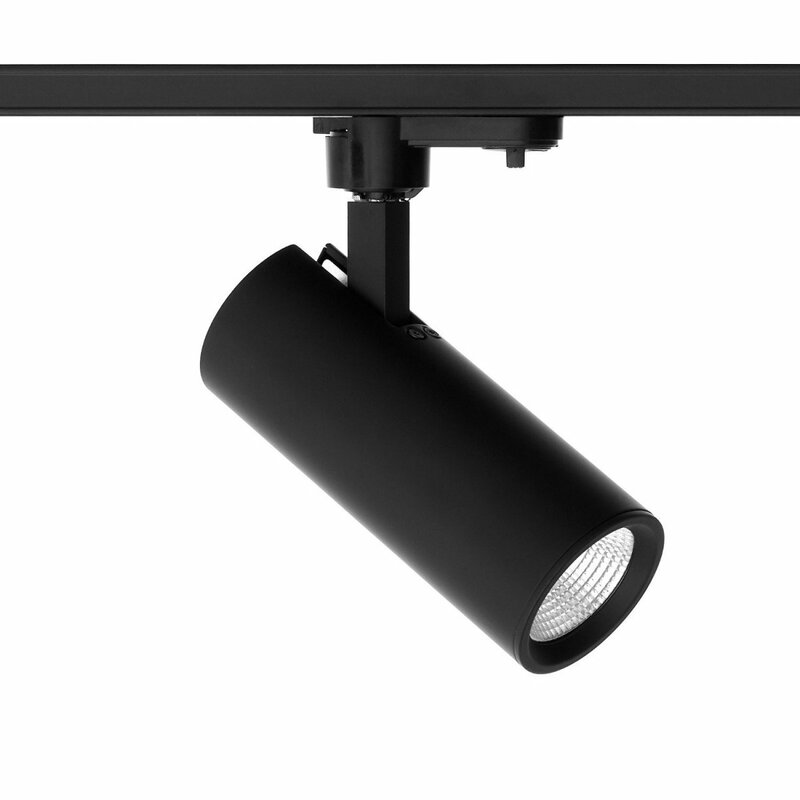 LED linear profile lights come in standard 1, 2 and 3 meter lengths, but can also be custom cut to fit the length of the lighting target. Standard colours are matte black, matte white and anodized, but fittings can be special ordered in any desired colour to fit the colour scheme of the rest of the interior. 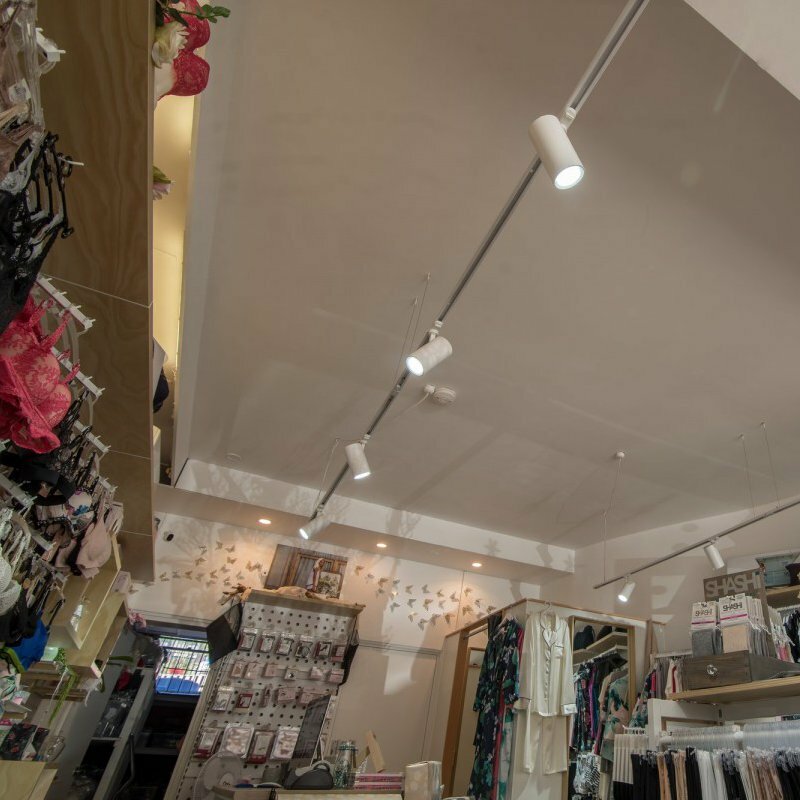 When choosing shop and retail lighting fixtures, you can’t go wrong with LED track lighting as your first choice for general lighting. No other type gives you as much freedom to adapt the design to your particular application. Whether you have an retail store which needs updating or you’re creating a brand new space, LED World are here to help you every step of the way. 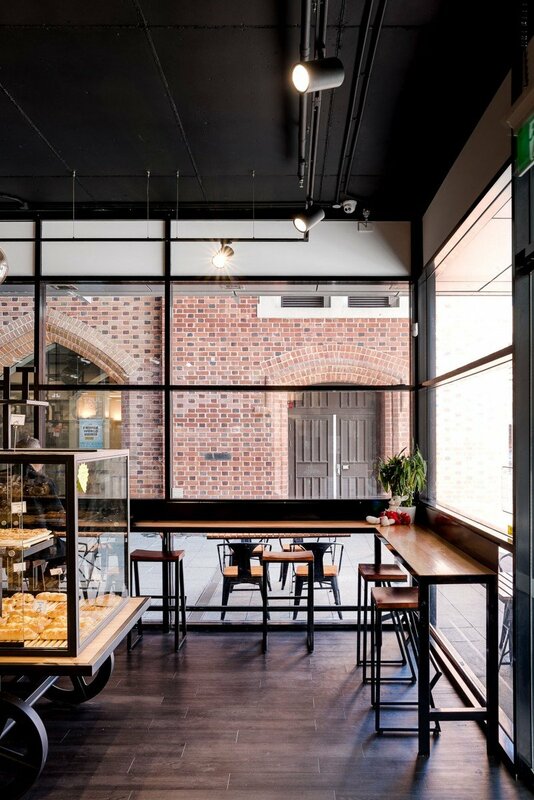 We offer a specialised design service so we can consider the unique characteristics of your space, your desired outcome and budget. If you’d like to speak to us, please get in touch using the contact form below.